"PAD MANG..Dont Hesitate" Short Film Promotion was done at Valia Inter College Annual Festival "Jallosh" with Aneel Murarka, Sahila Chadha, Sohel Fidai and Star Cast & Crew. On this occassion PAD MANg was screened which talks about social awareness on sanitary pads, where a man hesitates to buy a pad feeling it to be a very disgusting and shameful act, but how he manages to buy one for his wife and thus becoming a Pad Man . 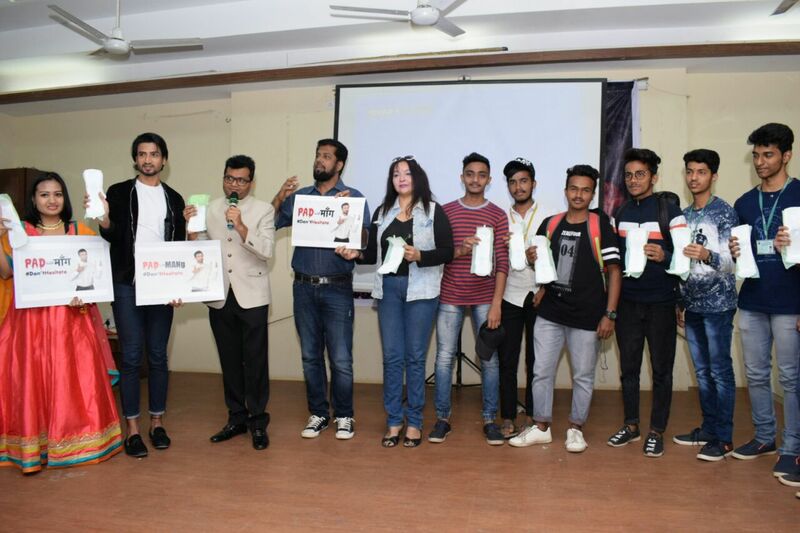 During this event Sanitary Pads were also distributed to students, specially to boys student to create an awareness of the pads among the men .